Saddle: North of Petermanns Bjerg, estimated at 2000 m.
How to get there: The mountain is located at North: 73 ° 13' 50.5'' West: 28 ° 36' 16.3'' . 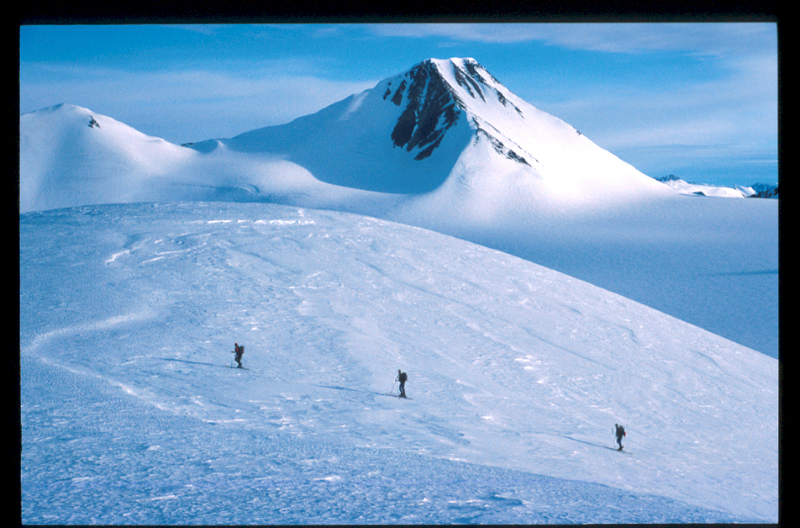 We skied over a flat area from our base camp just south of the mountain Gog. Route description: Ski up to the col south of the summit. (between Miriam and the ridge extending west towards Basel Fjeld.) 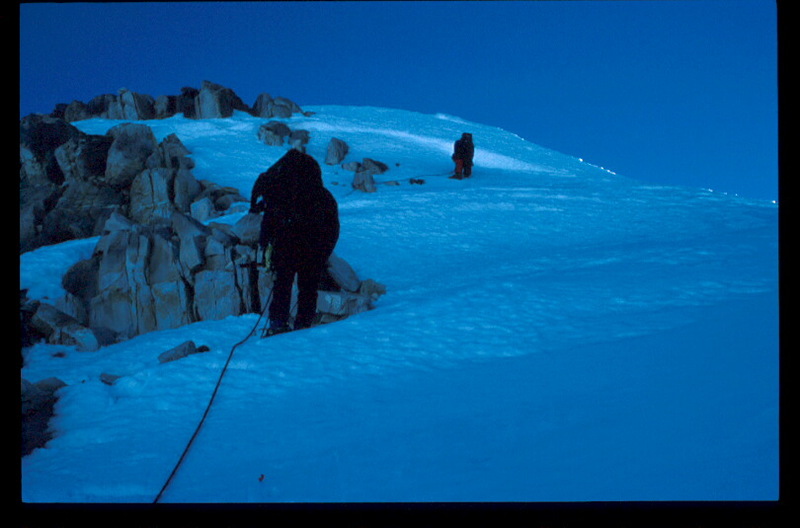 There is a band of rocks extending nearly all the way to the summit along the steep cliff to the west. We climbed on the ice along this band. About two thirds of the way up the slope gets steeper and the easier slope is along a short traverse towards the right (the snow ridge). The last part is almost flat along the ridge to the highest point. Comments: One of the finest (and highest) summits in the local vicinity. 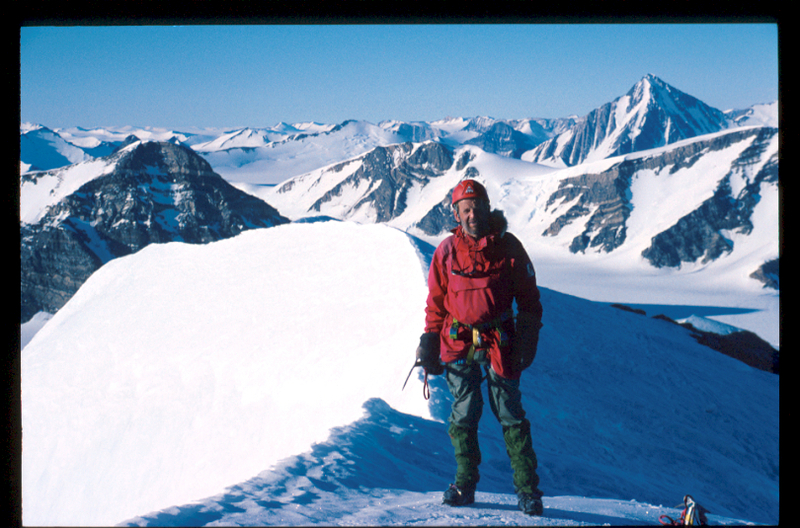 Beautiful views towards the icecap in the west, Gog in the north-east and Peterman to the south. The technically more difficult peak at the end of the ridge extending from our starting col in the opposite direction was climbed by three other members of our party the same day (also this a first ascent). Primary factor: the assumption is that this peak is the highest north of Petermanns Bjerg, east of Victor Madsens Gletscher, south of Jættegletscher, and west of Gregorys Gletscher. Furthermore, the saddle when crossing from Gregorys Gletscher to Victor Madsens Gletscher just north of Petermanns Bjerg is estimated to be 2000m. Our base camp was near this saddle point, and fairly accurately determined to 1980 meter. The primary factors in this area has large possible errors due to very coarse map information. Miriam as seen from our ascent of Torger Fjeld. 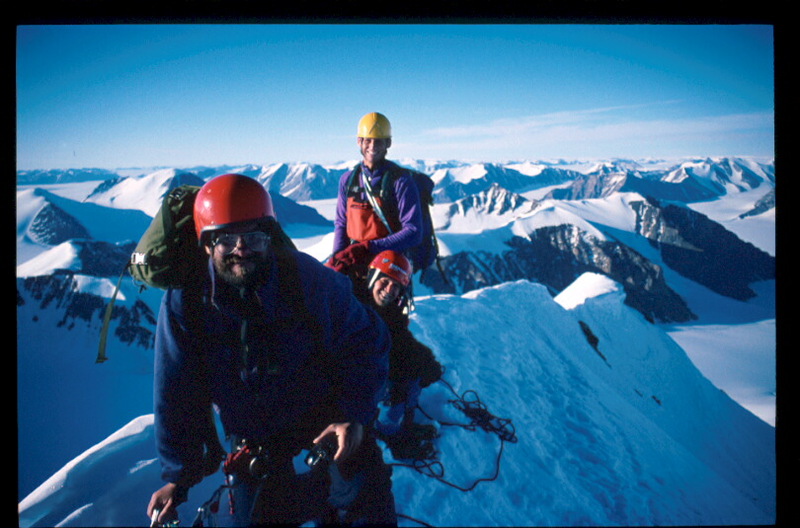 On the south ridge of Miriam. On the summit ridge of Miriam. Me on Miriam. The view is south, Kerberus (left) and Peterman are clearly visible.